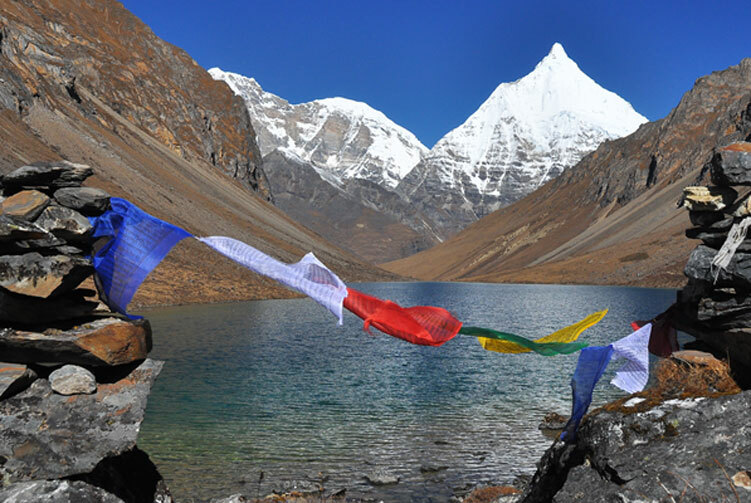 This eight day trek passes through some of Bhutan's most beautiful high altitude lakes. The route begins in Paro and ends in Thimphu, at its highest point it crosses an altitude of 3800m. 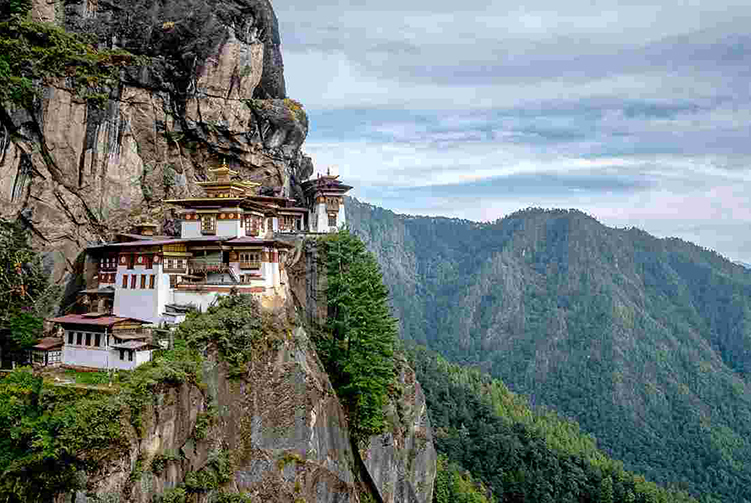 This is one of the most popular trekking routes in Bhutan. 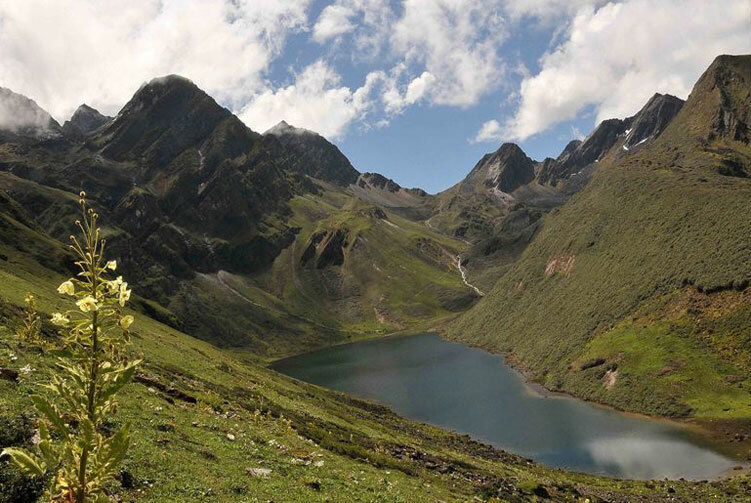 It gives you excellent views of the snow capped peaks, the lush valleys and takes you through dense forests. This is a camping trek and it gives you the chance to get in touch with rural Bhutan. The Druk path trek in Bhutan is a moderately tough 6 day trek in Bhutan starting from Paro to Thimphu or vice versa and is the most popular of all Bhutan treks. 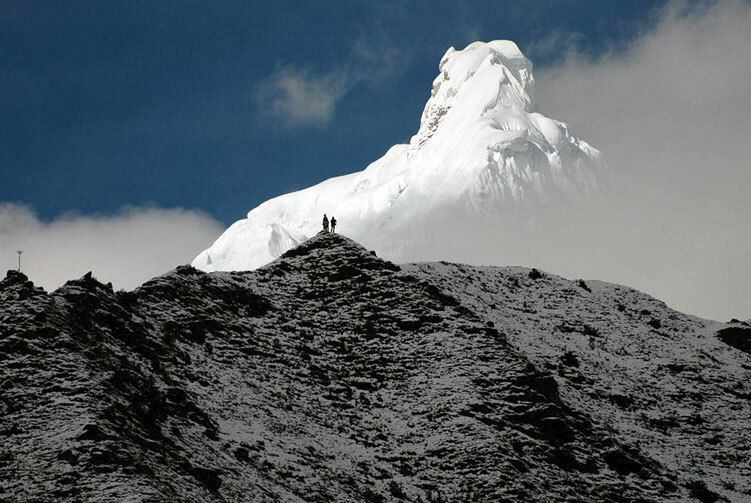 The trek leads up to altitudes above 4,000m, however walking distances between the camps are not too long. This trek will take you through thick alpine jungles, beautiful pine trees, various rhododendron trees and spectacular lakes. Incredible views of valleys, lakes, green Himalayan mountains and Himalayan snow capped mountains are the order of the days throughout the trek. You will also see some of the mighty Himalayan ranges like the Gangkar Phuensum, and mount Jhomolhari. Being on top of the mountain, sunsets and sunrises are absolutely beautiful and mesmerizing. Apart from the lakes, Phadjoding monastery and the view from there is one of the highlights of this trek. The Lonely Planet describes the Druk Path Trek as One of the most scenic and popular treks in Bhutan, following a wilderness trail past several remote lakes. Although it is a short trek, it still goes to a high altitude making it moderately strenuous. Day 01: Arrival at Paro International Airport, Transfer to Hotel. After breakfast drive to Paro International Airport where your guide and driver will bid you farewell and hope you had a pleasant holiday and hope to see you in Bhutan again. Necessary airport/ hotel/ airport transfers, cultural shows for bhutan trek. We offer you the best price guaranteed for Druk Path Trek. Witnessing first hand a way of life so different to our own is an extraordinary experience and a precious opportunity. In doing so, we feel sure that you will have no wish to disturb or be an impact on the lives of the Bhutanese that you will visit. Please do not give money, pens, or sweets to the local people in the communities we visit, as it can promote a 'begging culture'. It can create unequal relationships between tourist and visitor, with tourists being seen as purely 'givers', and it can also strip self esteem away from people when they get money for simply being poor rather than having to solve their own issues of poverty through community action. With sweets - local people may not have access to dentists, nor be able to afford them. Instead, please read the “Suggested Gift” section of our “Practicalities” document. Use of water- Although it may not seem it, water can be a scarce commodity especially in the countryside where is has to be carried from the valley bottom, or brought in by truck or horse. keep your use of water to a minimum at all times in the countryside. Going without showers and running water in toilets is to be expected in some areas. hot water supply may be erratic – please be understanding of the difficulty involved in providing this service and use water conservatively bring your own water bottle - and we will provide a handmade bottle holder. Our vehicles normally have a 60 litre bottle of drinking water from which you can refill throughout your journey. Last year we estimate that we prevented 6000 plastic bottles being used and thrown away. Biodegradable products - Please bring and use biodegradable soap/washing products with you. Fires -Please do not to burn anything other than wood/dung on the stoves in the gers. feed animals unless specifically asked to do so by the owner pursue or touch animals as they may get distressed pick flowers. Tour Leaders and local guides will provide a reference book where possible so clients can identify plants/birds in situ. touch or move fossils stroke dogs. Dogs outside/in gers can be aggressive. Stray dogs can carry rabies. -Electrical equipment - Turn off all electrical equipment and lights when not in use. avoid accepting plastic bags for everything in shops and reuse the ones you have (for litter collection etc). reduce the amount of packaging taken on tour as it is more effectively disposed of at home than on tour on camping tours, where possible, to use reusable food containers rather than foil or plastic bags and avoid using disposable plates, cups and cutlery dispose of litter responsibly compost food waste – if possible. Alternatively it should be carried until it can be put in a rubbish bin. take a plastic bag and collect a few pieces of litter and dispose of it at the end of the walk, leaving the environment cleaner than when you found it! We often initiate clean up walks. Your help on these is much appreciated. If camping please be sure to dig a deep latrine far from any water sources - and cover after use. avoid climbing on ruins avoid touching religious objects walk around Buddhist monuments and temples in a clockwise direction.